2013 Race Red GT Mods! I dunno...looks like someone took a chunk out of yer grill......or it wasn't finished or something. You sure you got all the parts? Last edited by potman; 07-10-2012 at 04:12 PM. congrats on the car, it's very nice! I think the upper grill looks really good...it's the lower one that's throwing the "whole" look off...the 2 different styles are clashing IMO. Yeah, I totally agree. 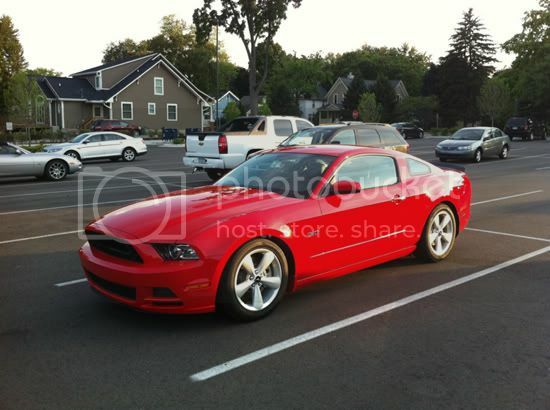 I'm planning on picking up a Roush open lower grille from their 2013 model to help complement the Performance Grille. That would be a much better look. Potman, yeah the grille is very similar to that on the GT500. That grille doesn't fit the GT though! Beautiful 5.0 you have there congrats! struts and shocks for your next modification. FRPP Shocks/Struts, and 1.5" lowering springs! Car looks great, pretty sure I liked the pics of it when CDC put them on their Facebook page. Not sure on the grill Id like to see a side version shot of the car to see the spoiler. Nice ride tho. 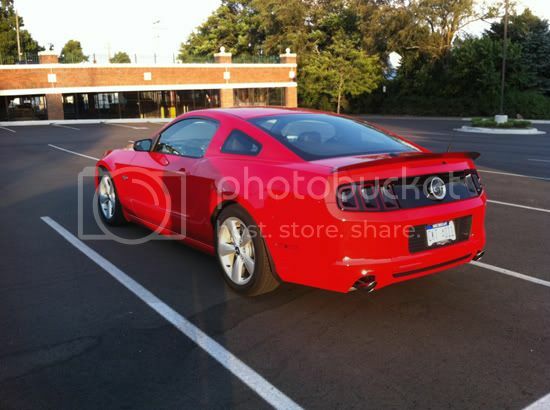 Quick Reply: 2013 Race Red GT Mods!